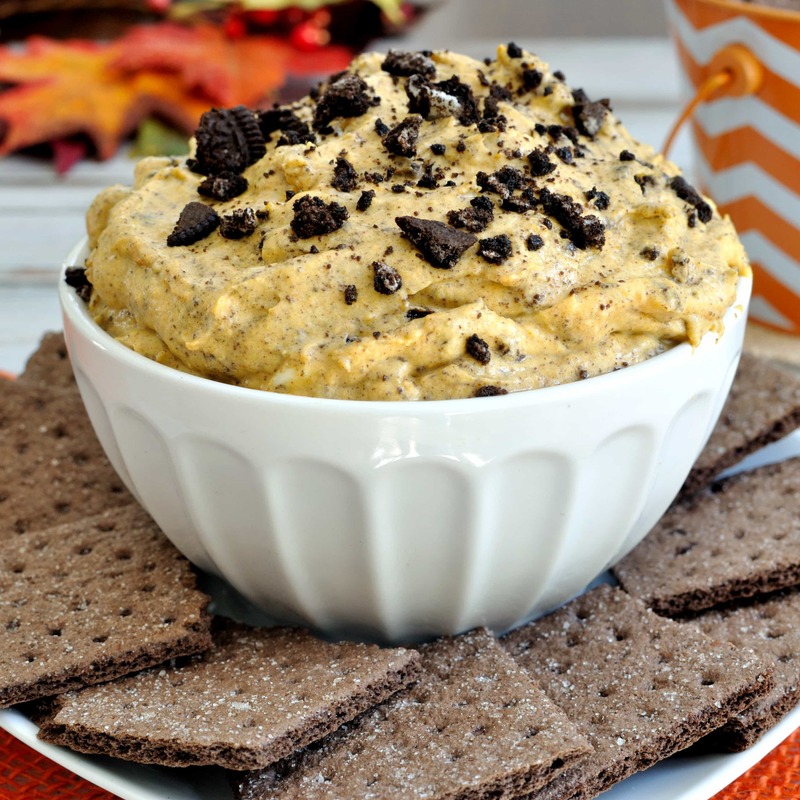 Here’s a fun and easy fall dip recipe just for the adults- Hard Apple Cider Fruit Dip! Is anyone else a fan of hard cider? I am and I love how popular it seems to have become these days. The popularity along with the craft beer craze means there is a bigger variety of hard ciders to choose from. I remember when Woodchuck was the go to hard cider and was often times the only one I could find. Now don’t get me wrong, I love Woodchuck, especially, their fall version which will definitely get you into the fall spirit 🙂 But it is great to have other options too. We even have a few craft cideries nearby where we can get locally brewed cider. It is so awesome! 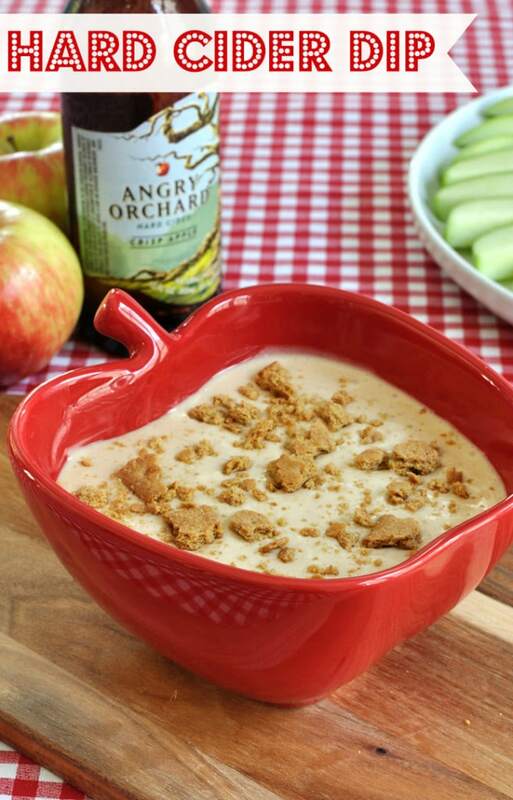 I used the regular crisp apple version of Angry Orchard when I made this hard apple cider fruit dip. 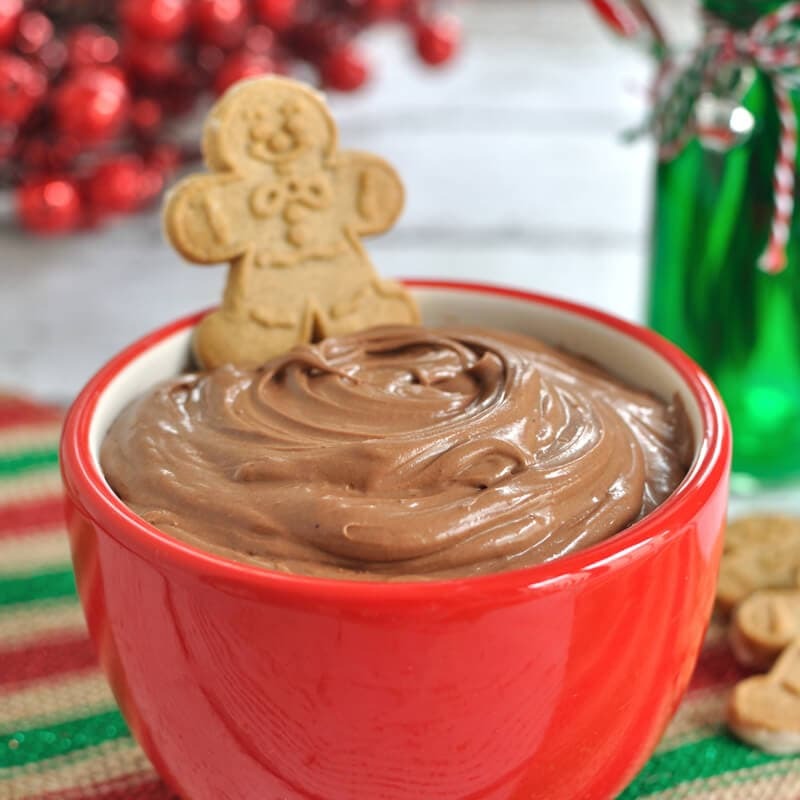 This is a sweet dip with a little tang from the cider and is great for fruit, but could also be served with graham crackers, ginger snaps, vanilla wafers, etc. 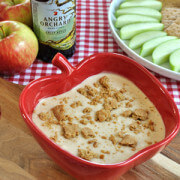 In a small saucepan, add the hard cider and cook over medium heat until reduced by half (to 1/4 cup). 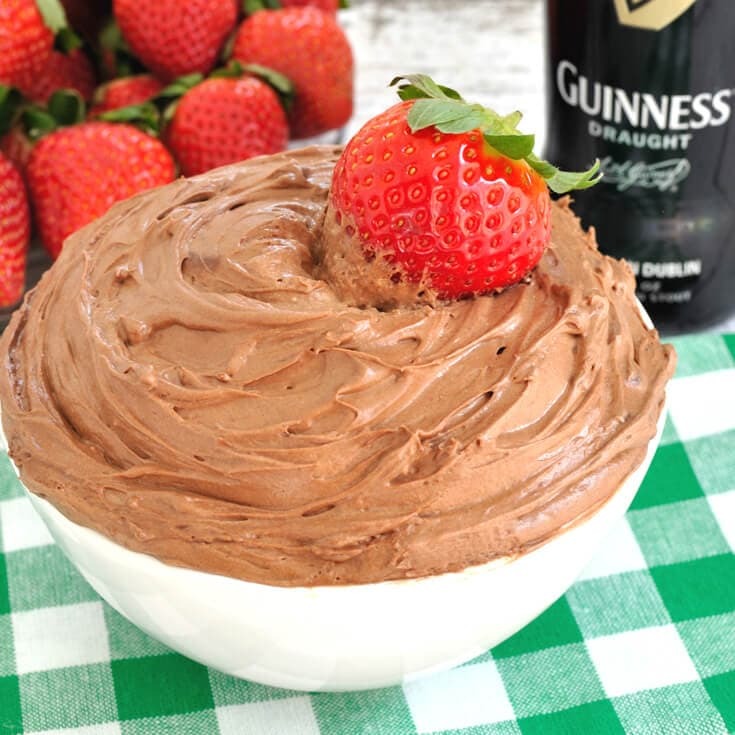 In a medium bowl, beat the cream cheese until smooth. Add in powdered sugar and mix until mixture is creamy. Add in brown sugar, vanilla, and cinnamon and continue mixing until well combined. Add in reduced cider and mix until combined. The mixture will thicken a bit once chilled. Chill in the refrigerator for an hour or until ready to serve. Use apple slices, graham crackers, or cookies as dippers. Delicious! I used a pretty mild cider and it resulted in a very subtle apple taste. Still very good, but if you are looking for a distinct apple taste, be sure to use a stronger tasting cider.